Packed with great details, such as an open fire with chicken, wooden logs, tree and opening doors and windows, this log cabin is an ideal base for a wilderness adventure. Minifigure with backpack, paddle and canoe included. For something different, rebuild it into a country retreat or a river hut. 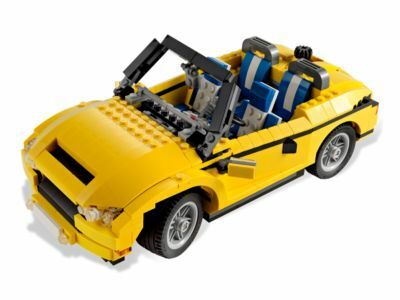 The Cool Cruiser (5767) Lego set is no longer directly available from the sites below. However, 3rd party partners of these sites might still have the set available. Alternate description Be the king of the road in the 3-in-1 Cool Cruiser!